The doctrine of God is the foundation of the religion of Islam and is central to the teachings of the Holy Qur’an. God is the Supreme Being who exists independently of everything else. He is the sole Creator of the Universe, the Maker of the Heaven and Earth. According to Islam, no event occurs in this Universe without God’s knowledge and implicit consent. He is the ultimate source of every action and happening, animate or inanimate. God created not only the galaxies and stars, but also the life-form on this earth and elsewhere. He is the Nourisher and Sustainer of all creation; He is their Lord. Belief in God, the Creator and the Master of the Universe, is common to all religion. 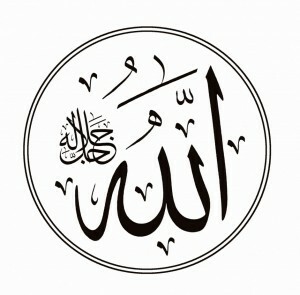 But the Islamic name ‘Allah’, in Arabic, applies only to One God and to no one else. Islam advocates belief in the absolute Unity of God in its entire purity as its very foundation. Oneness of God means that He is the God of all people: past, present and future. For human beings, He is a very personal God. He listens to their supplications and prayers (2:187). He provides for all their needs (42:20). He overlooks their shortcomings and forgives their excesses (39:54). He is there whenever they need Him, in distress or prosperity (13:27). He deals with His creation with mercy, love and compassion (3:31). He cannot be seen with physical eyes but reveals Himself to man through His Prophets and through the working of His attributes. Allah is eternal and infinite. He lives today as He lived before and will continue to live hereafter. He speaks to people as He spoke in the past. All His attributes are Ever Lasting.